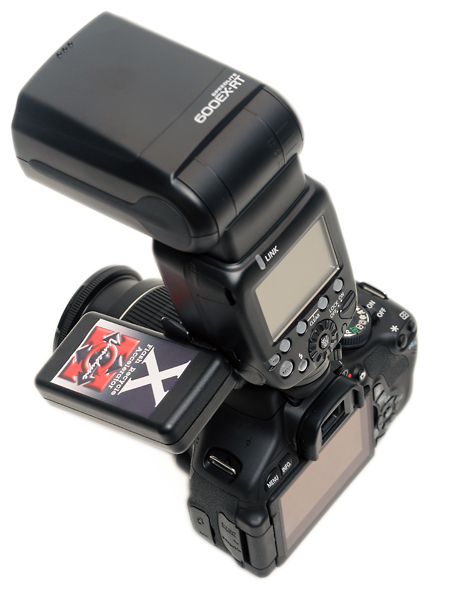 Lumedyne has announced the "X" Flash Recycle Accelerator, a small, cordless high-voltage battery pack for speedlights. Lumedyne has announced the “X” Flash Recycle Accelerator, “the world’s smallest HV pack” for speedlights. Like other power packs, it will speed up your flash recycle times and make your AAs last longer, but what is unique about the Lumedyne X is that it has no cable. Instead, the whole unit, weighing just 84g, cuddles up to the side of your flashgun, plugging directly into the power socket. Managing director D.J. LaDez, speaking to Lighting Rumours, said the X is aimed at “anybody who wants to reduce their recycle times at any power level for 300 shots” without strapping a battery pack to themselves or connecting a one-pound unit to the bottom of their camera. But it is “not intended to take the place of a mega fast recycling HV Cycler” and other brand high voltage power packs. 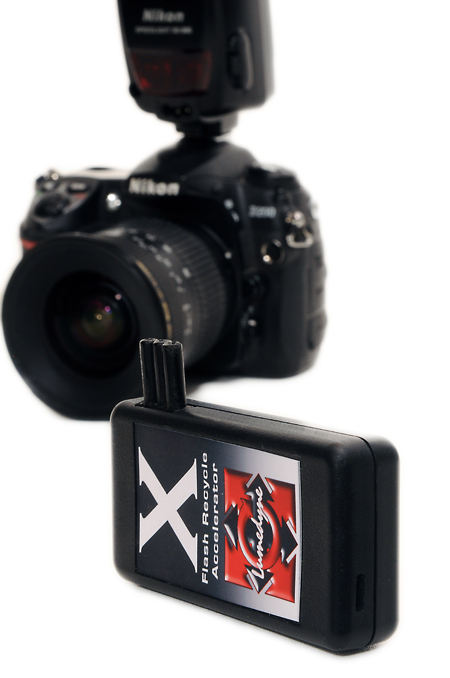 There are two versions — the Nikon Style X (VXNA-1) and the Canon Style X (VXCA-1) — which are also compatible with certain other brands of flashes, such as Triopo and Nissin, that share the same connectors. This product is made in America at Lumedyne’s Florida factory. Each X comes with an international charger, a car charger, two USB chargers and an instruction manual. A single kit directly from Lumedyne will set you back $325.00, with the batteries guaranteed to last for two years. The X will be sold to dealers around the end of May and UK distribution has also been confirmed. For further information, visit www.lumedyne-x.com.